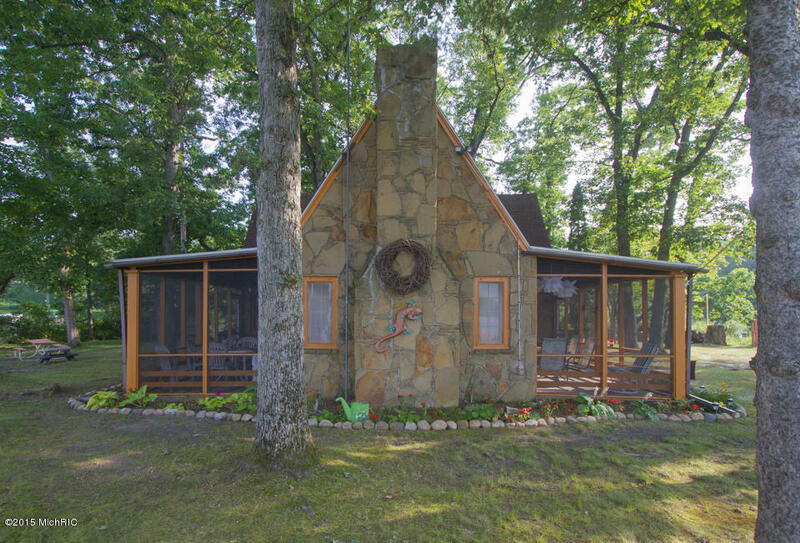 G U L L L A K E I S L A N D H O U S E - The most unique vacation home in SW Michigan. 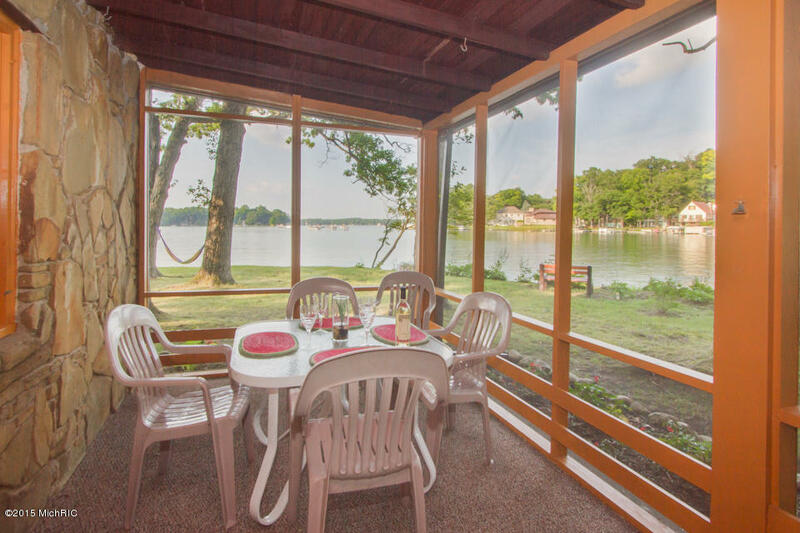 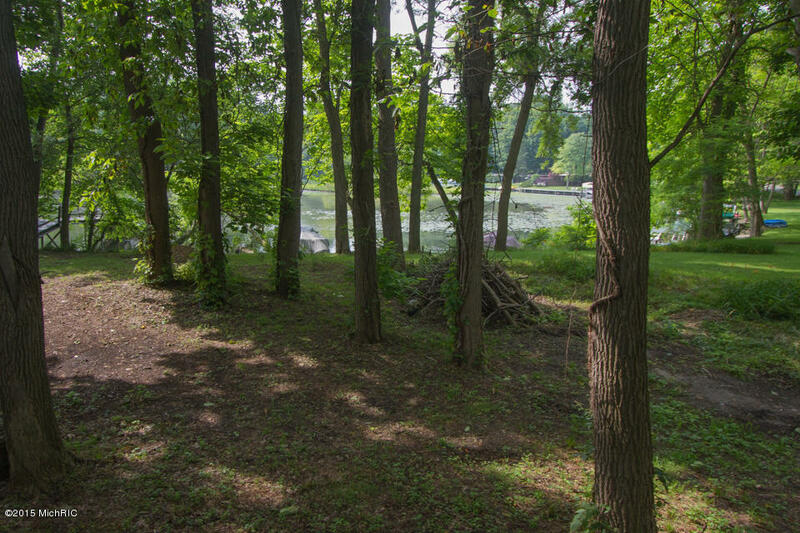 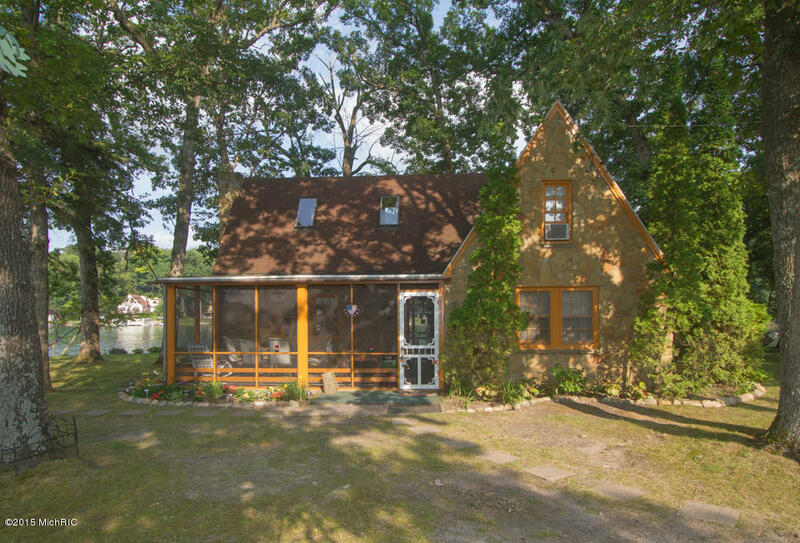 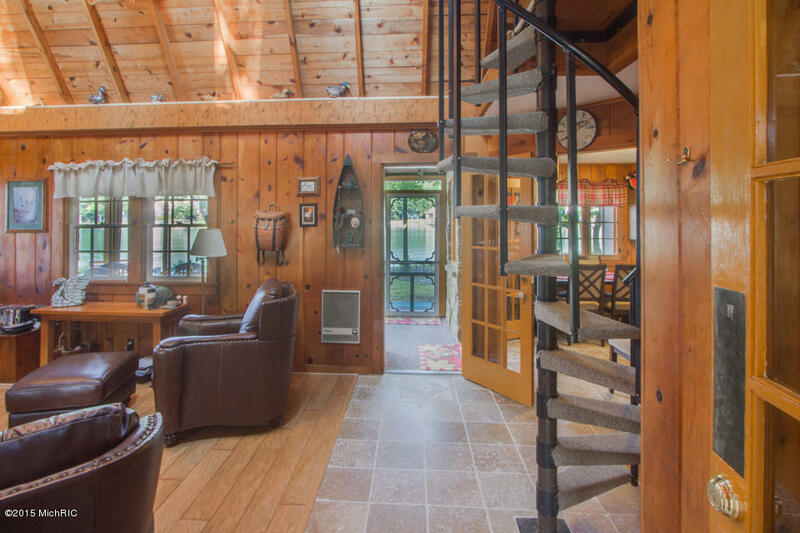 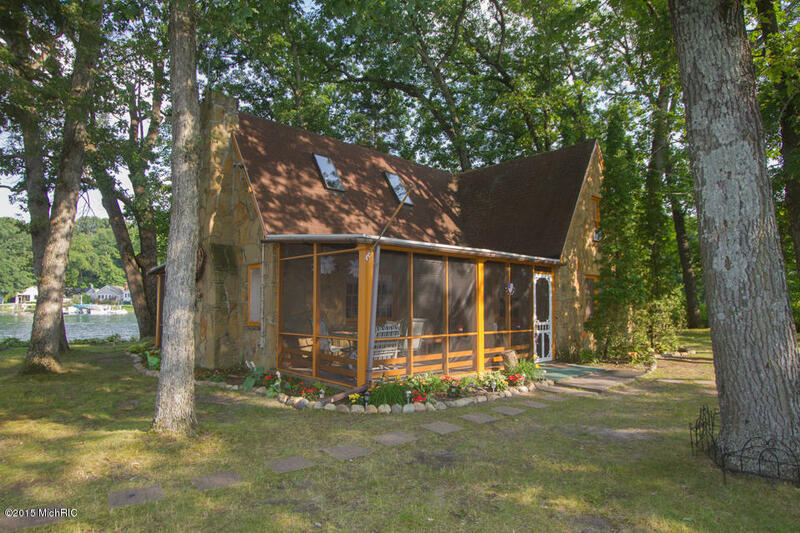 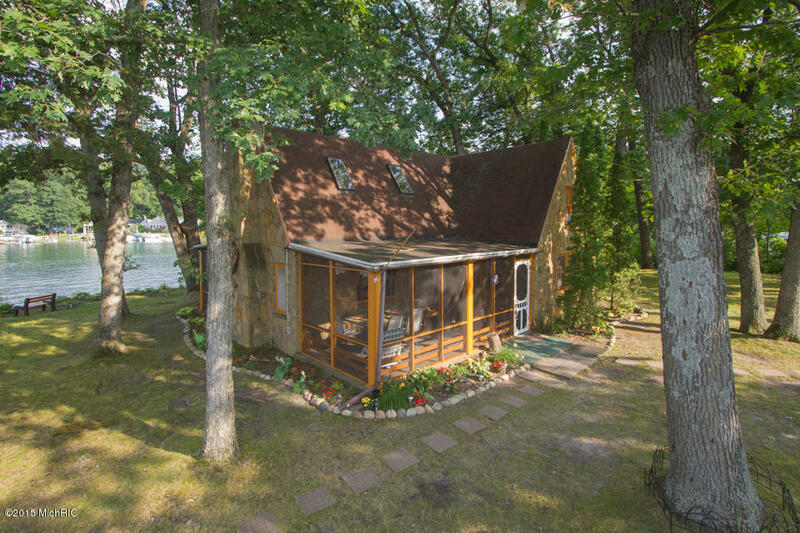 The Gull Lake Island House located in Richland, MI is an unforgettable experience that will become part of your generational story for years to come. 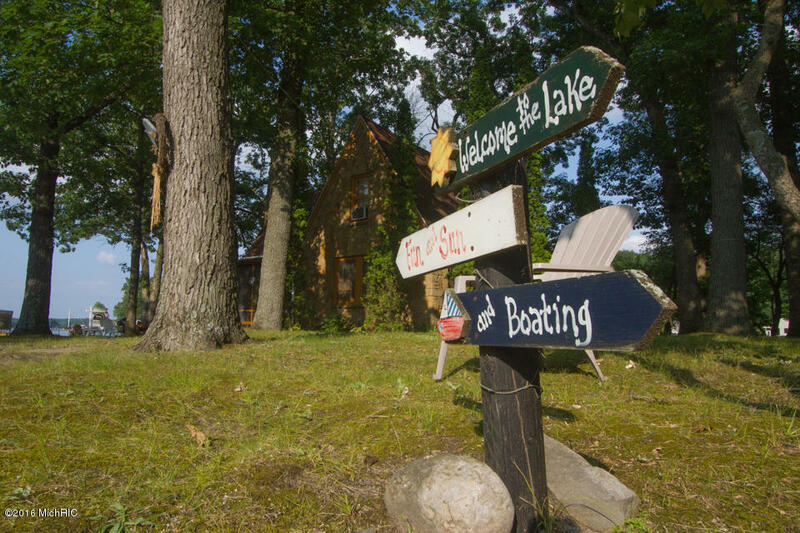 At GullLakeIslandHouse.com and LaPequenaIsla.com discover what makes La Pequena Isla Southwest Michigan's most enchanting vacation get-away. 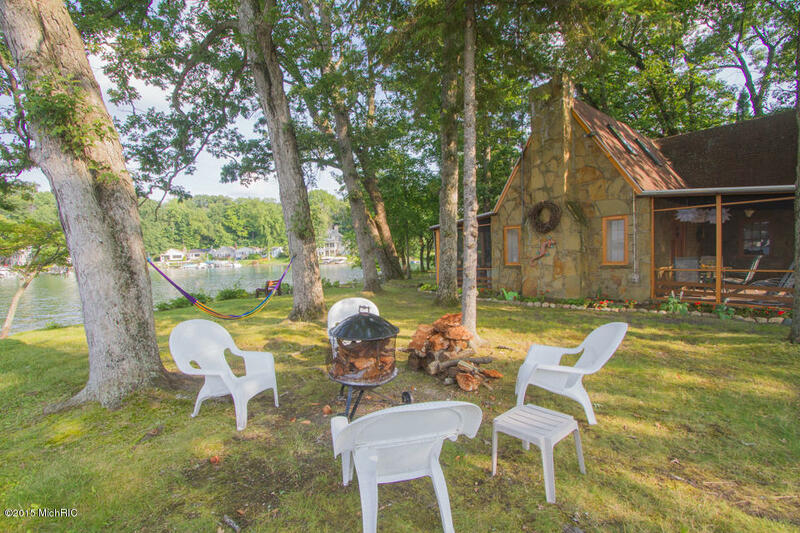 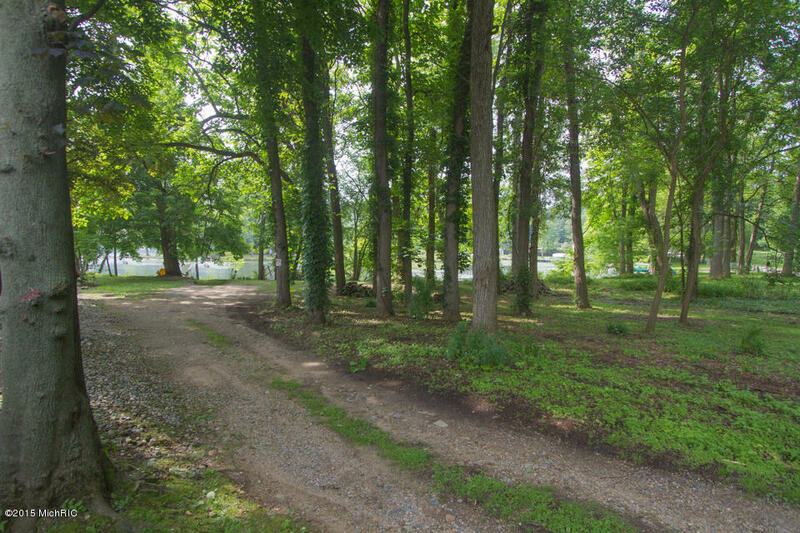 Distinguished by its rarity, and appreciated for its unique charm and character, the little island offers an exciting new way for you to share incredible memories on the lake with family and friends. 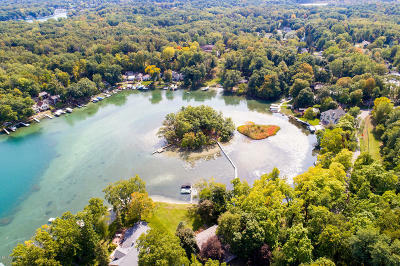 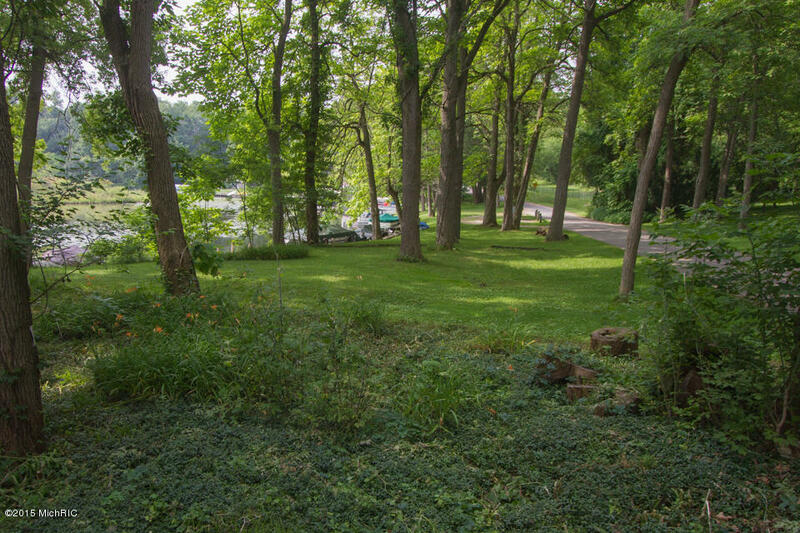 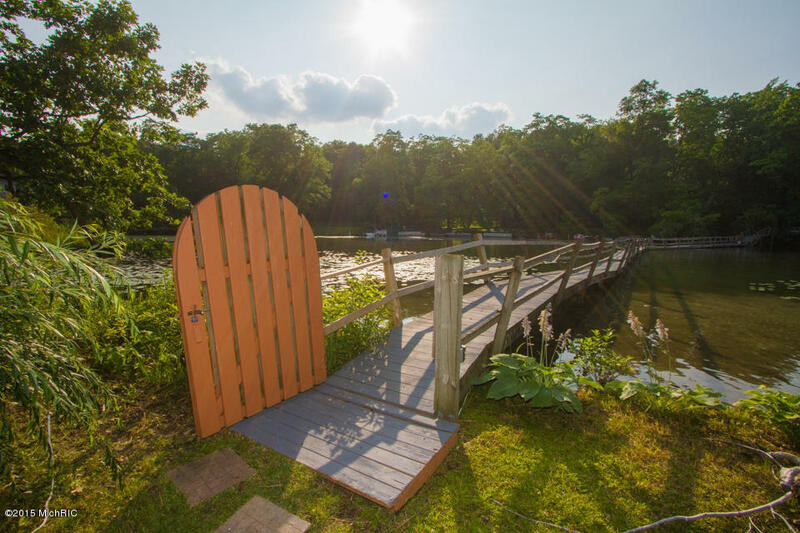 When ordinary isn't your style, and you long for a new experience, owning a private island will ensure your individuality and give you an opportunity to embrace lake living in a way most people can only imagine. 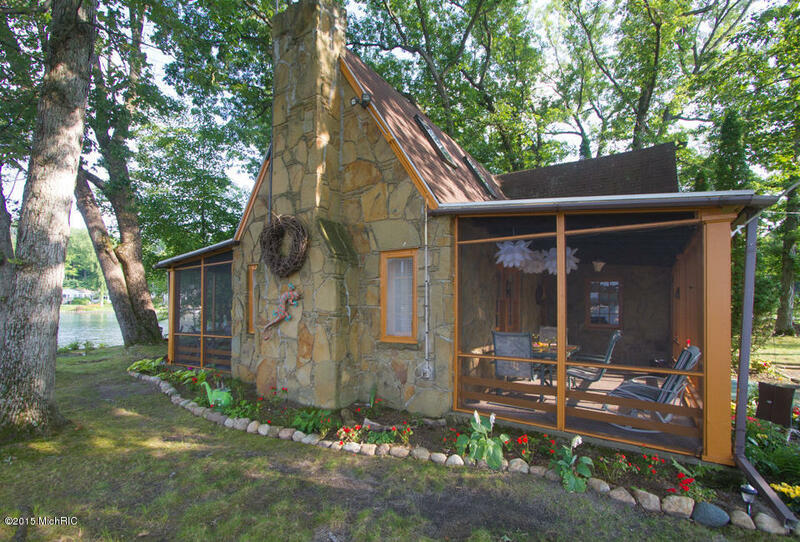 Set against a picturesque backdrop of smaller cottages and multi-million dollar homes, this intimate 3-bed, 1-bath, stone and wood cottage offers nearly 1300sf on one-and-a-half stories, and is situated on a little more than a half acre. 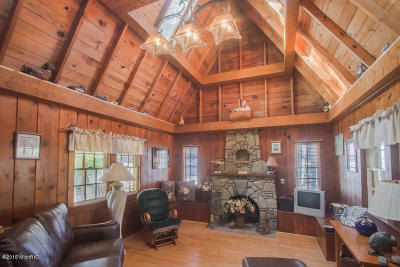 Interior features include main floor living room with NEW engineered wood floors, stone fireplace (great focal piece, but owners are not sure if it works or not), and pine-planked beams and walls accenting the vaulted pine-plank ceiling with skylights. 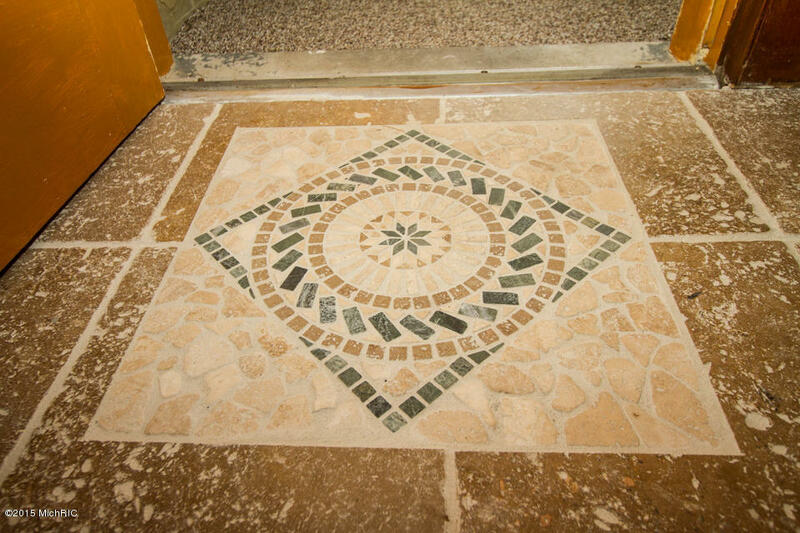 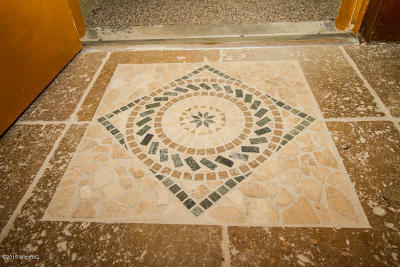 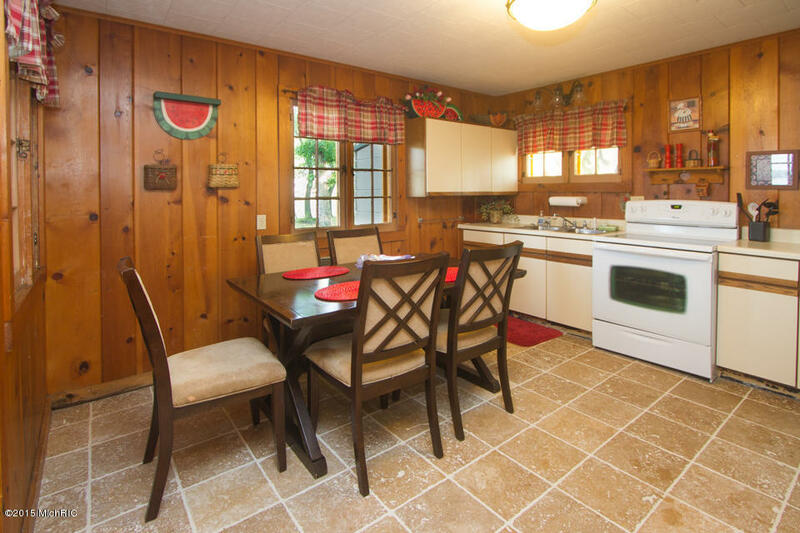 Dine-in kitchen, full bath and foyer all have NEW travertine tile with mosaic inlays. 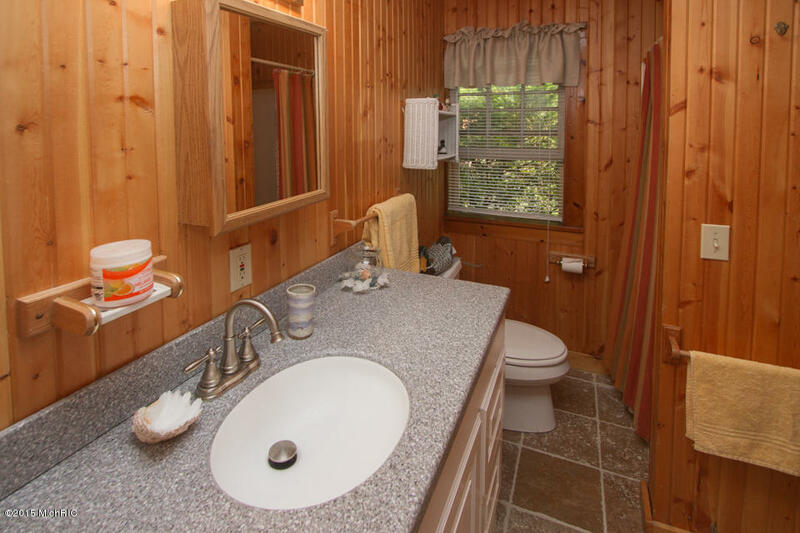 Bathroom has NEW vanity with hard-surface counter (2016). 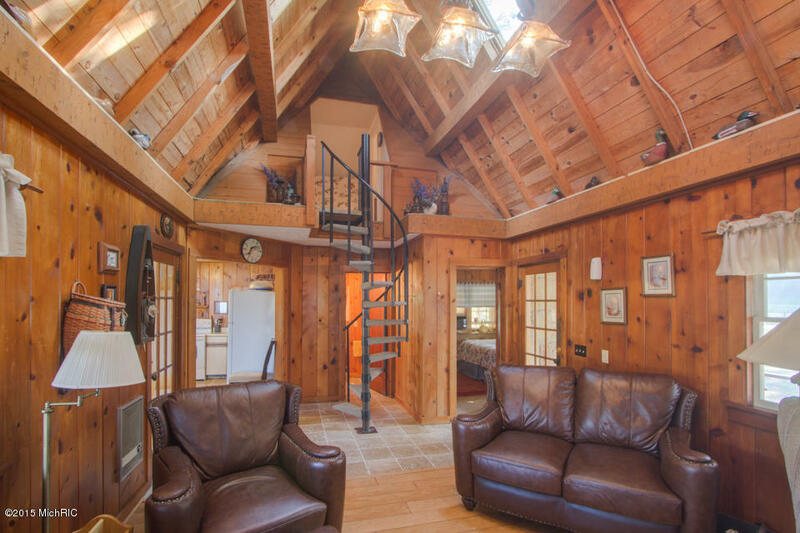 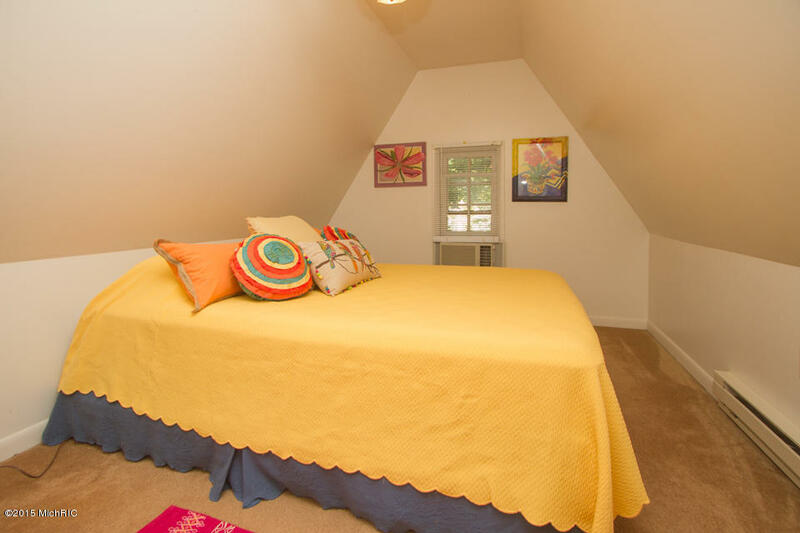 Two additional bedrooms on the second floor are accessed by a black spiral staircase. 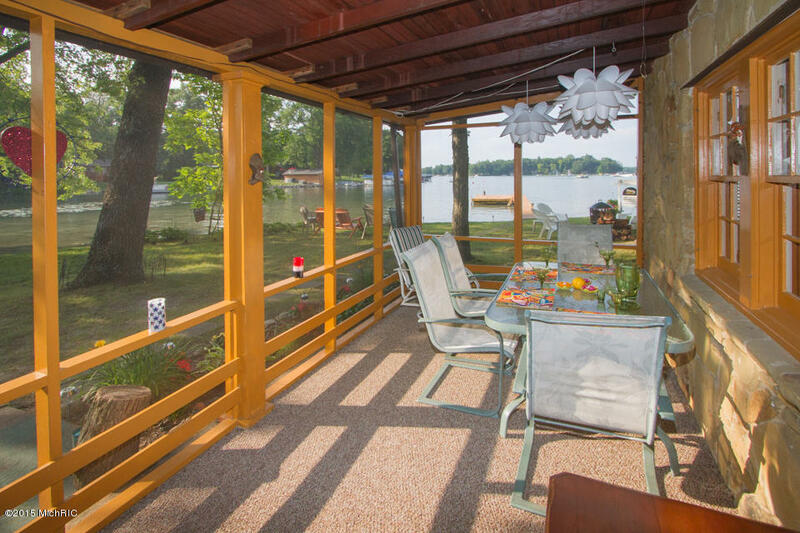 Two screened verandas provide additional entertaining and dining space and a simple, relaxing getaway perfect for relaxing and watching passersby. 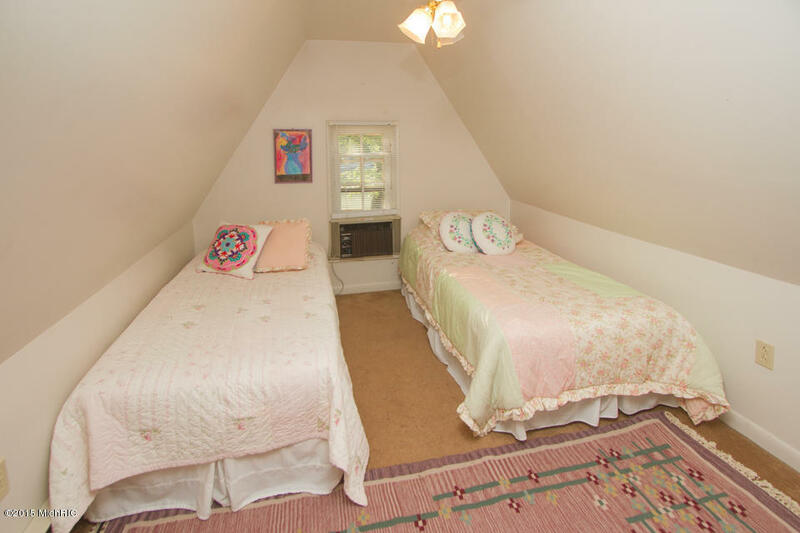 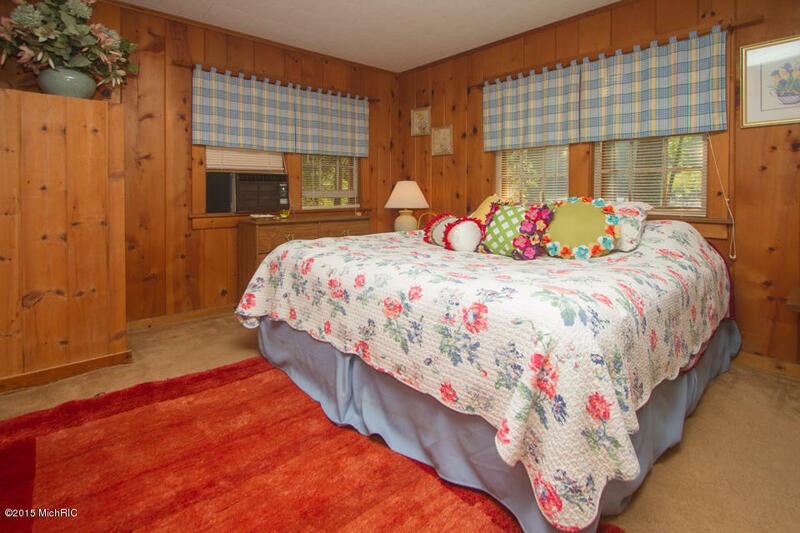 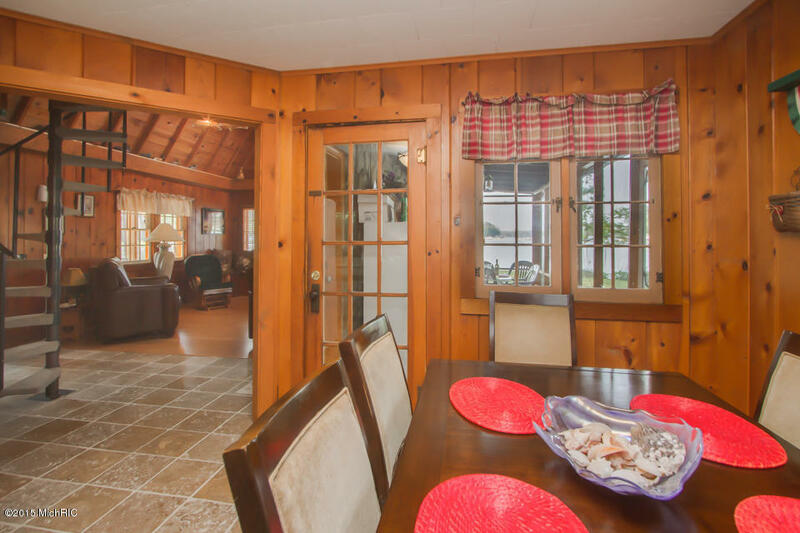 The cottage sits under canopy of large, mature hardwoods, and the grounds are full of evergreens, flowering shrubs and perennials to punctuate the experience as the quintessential summer cottage. 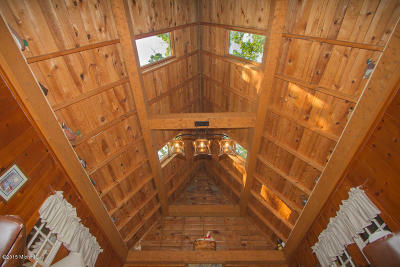 Enjoy spectacular, breath-taking, panoramic views. 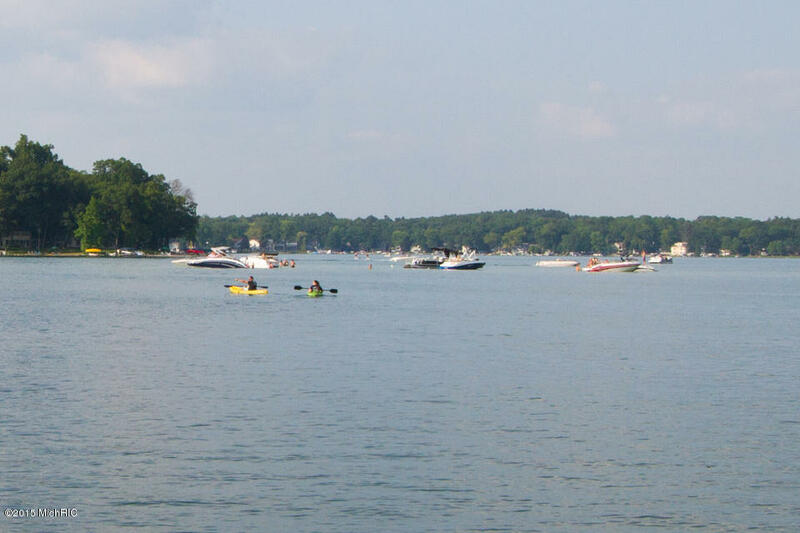 The island has over 600 feet of sandy shallow shoreline making water access a breeze. 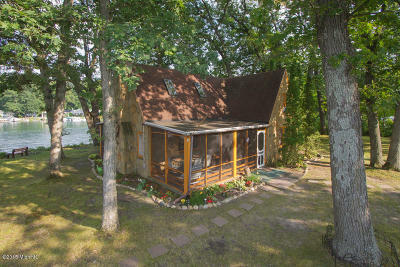 The mainland parcel offers another 73' of lake frontage. The sparkling clear waters extend to a maximum depth of 110' and hold countless opportunities to interact with nature. 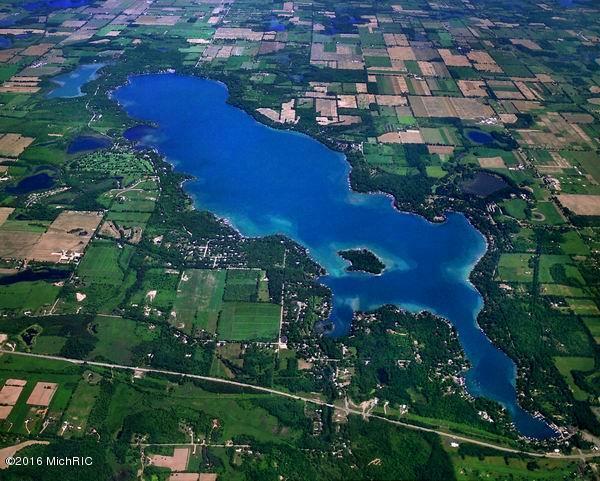 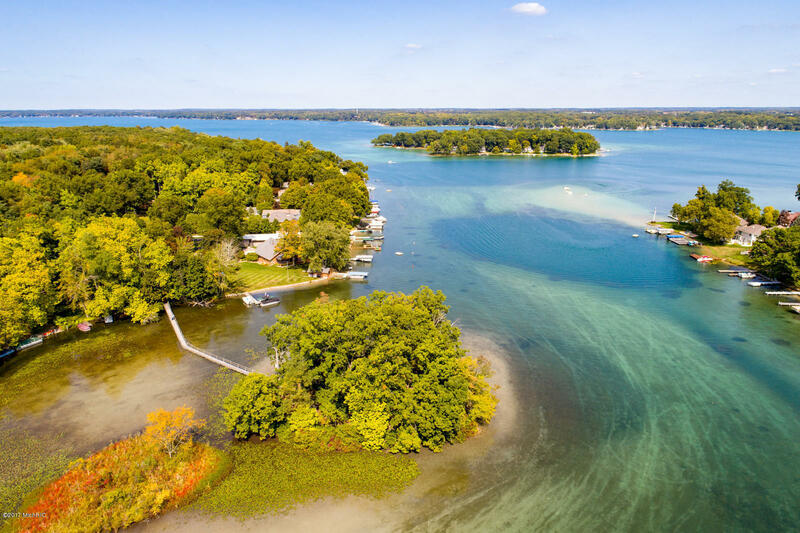 Known as a scuba diving and fishing hot spot, Gull Lake is perfect for diving, snorkeling or reeling in a fresh catch of rainbow trout, lake trout, land-locked salmon, smelt, large and small mouth base, yellow perch, bluegill, and northern pike. 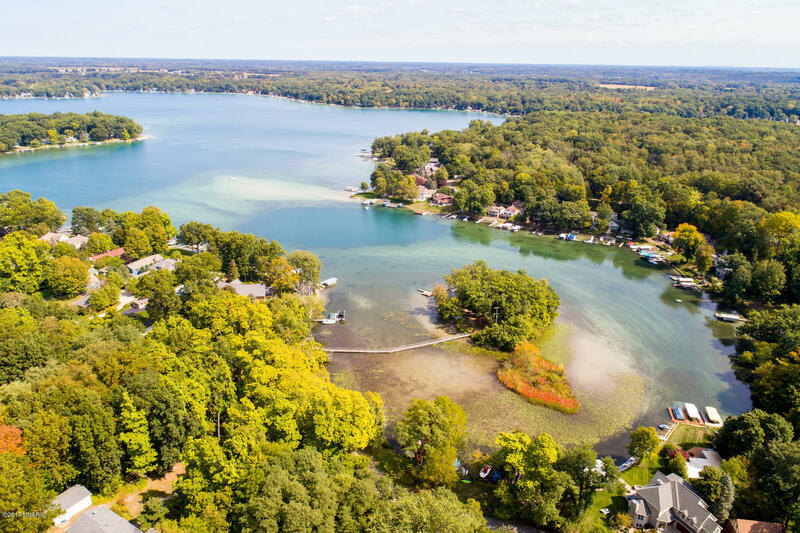 Sufficiently large enough to support a yacht club with sailing and racing on weekends, Gull Lake is rich with activity and opportunities for recreation and socializing. 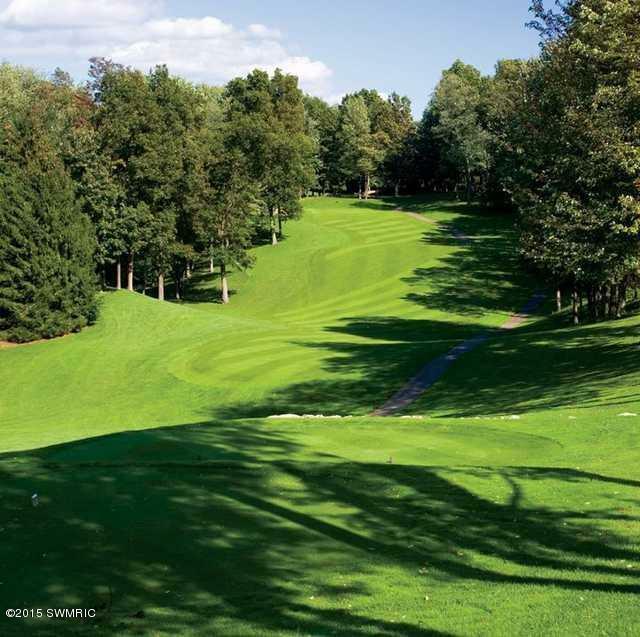 From the water to the greens, extend your social calendar at Gull Lake Country Club and Gull Lake View Golf Club & Resort, and experience the taste of Gull Lake's finest and dine at one of the conveniently located restaurants. A full-service marine is also available. 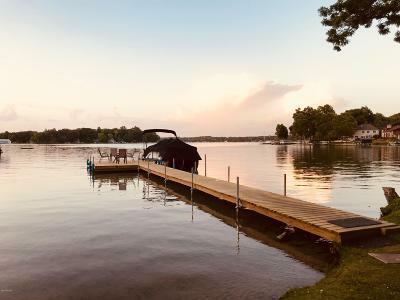 Only a brief half-hour drive from Kalamazoo/Battle Creek International Airport, a little more than an hour drive from Grand Rapids and Lansing, and about a two-and-a-half hour drive from Chicago and Detroit. 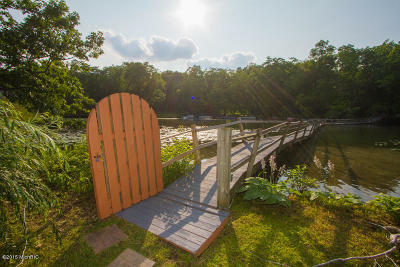 Visit www.lapequenaisla.com for more information. 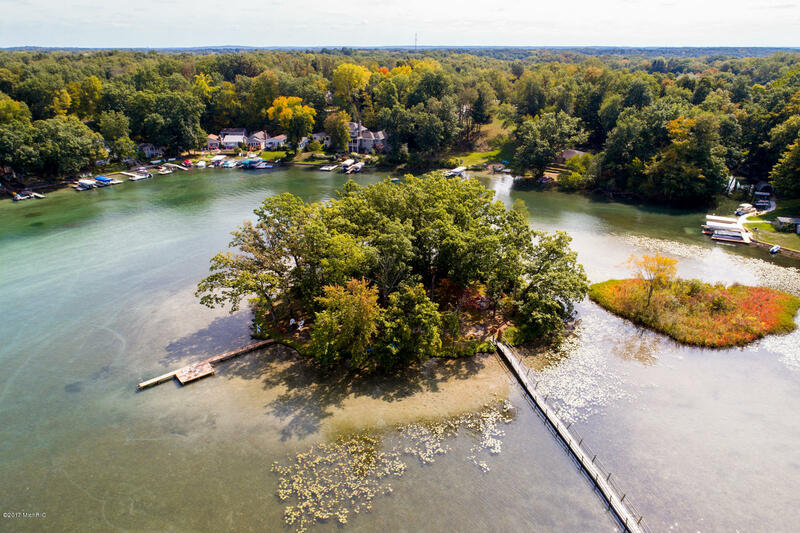 PLEASE DO NOT ACCESS ISLAND WITHOUT A CONFIRMED SHOWING APPOINTMENT.